We Specialize in Group Parties/Private Parties Whether it’s a bridal party, birthday celebration, or just a relaxing get together, Let our friendly staff take care of all your needs. You can bring your own food, drinks, decorations, music, etc. Hosts may choose to pay for the entire event or have guests be responsible for their individual services. – GROUP OF 6 IS CONSIDER A GROUP PARTY – To host private (GRP OF 8 MINIMUM) or group parties (OF 6), a $80 deposit fee is required during time of booking. For private parties, eight or more is a required minimum. There is a $50 minimum per guest. 18% gratuity will be added to all services for parties of six or more. A credit card must be used to reserve the group’s appointment. Last minute cancellations, reduction in the number of people in the group, or a no show constitutes a $25/per person charge. Cardholder will be held responsible for those charges. There is no charge for cancellations with 48 hours notice. 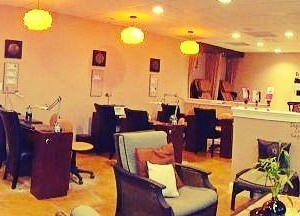 Guests should arrive 15 minutes prior to the scheduled appointment time. Please note that late arrivals will determine the length of treatment and you will be responsible for the full service fee. Your service will end according to the originally scheduled time. It is the responsibility of the host to communicate these rules to all guests to ensure a smooth and successful event.